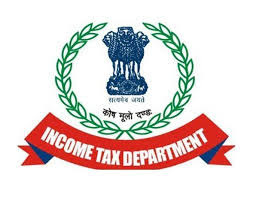 Income Tax Department Recruitment 2019 has released its vacancies for 35 Tax Assistant Posts. Want to apply for it? Here you can find all below details. (i) A State of the Country in a National or International Competition in any of the games/sports as mentioned in Para 7; or . (iv) Sportsperson< who has been awarded National Awards in Physical Efficiency under National Physical Efficiency Drive. Eligible candidates are advised to Download Official Notification & Application Form at official website to www.incometaxindia.gov.in. Fill your Academic Qualification & Other Related Information as per the instructions. Hard Copies of the signed application along with photocopies of (i) ID proof (ii) Proof of Date of Birth (iii) Educational Certificates: Mark-Sheets/Degree Certificate (iv) Caste and attested copies of relevant documents mentioned in the application should be addressed to “Application Must Be Submitted in Following Format Addressed to The Deputy Commissioner Of Income Tax (Hqrs - Personnel), Room No.378A, C.R Building, I.P Estate, New Delhi - 110002 By The Post/by hand On or Before” super-scribing the envelope with “Application for the post of ______” so as to reach on or before 31.03.2019.